Probably The Best in Devon. We, Colin and Lindsay, are a husband and wife team with over 30 years of experience. We work from home and offer a complete service from start to finish with total attention to detail. None of our work is outsourced, it is all carried out in our own work room. We can create your own personal design or inspire you with ideas from our design books. 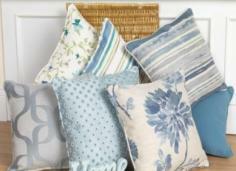 We offer advice on colours and fabrics from our large range. We are happy to offer a free, no obligation, consultation service to meet your needs. 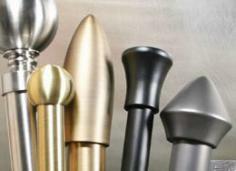 Curtain Call provide a personal service to private, trade and industrial customers. 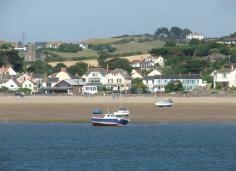 Our prices are very competitive and probably the best in Devon. 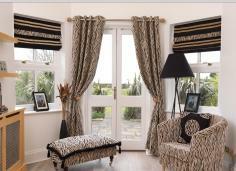 In fact we make made to measure curtains and blinds of all shapes and sizes for anywhere required. 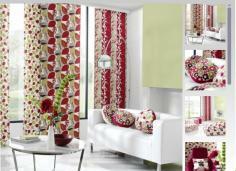 We can also obtain most fabrics at discount prices. 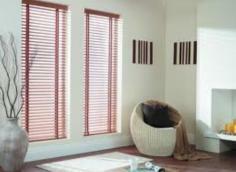 We offer a complete fitting service which we carry out ourselves. Bideford, Barnstaple, Ilfracombe, Holsworthy, Beaford, Hartland, Braunton, High Bullen, Chumleigh, Torrington, Witheridge, Umberleigh, Bude and South Molton . Images of what we do!